See Google’s post, or a more extensive write-up on yer Litmus blog. Litmus have a comprehensive article about spam traps – email addresses used for traps that help “inbox providers and blacklist providers to catch malicious senders”. For me it was interesting to see how inactive accounts get turned into spam traps. Outlook, Gmail, Yahoo and AOL will all deactivate an account in between 270 and 90 days. Thereafter it may get turned into a spam trap. 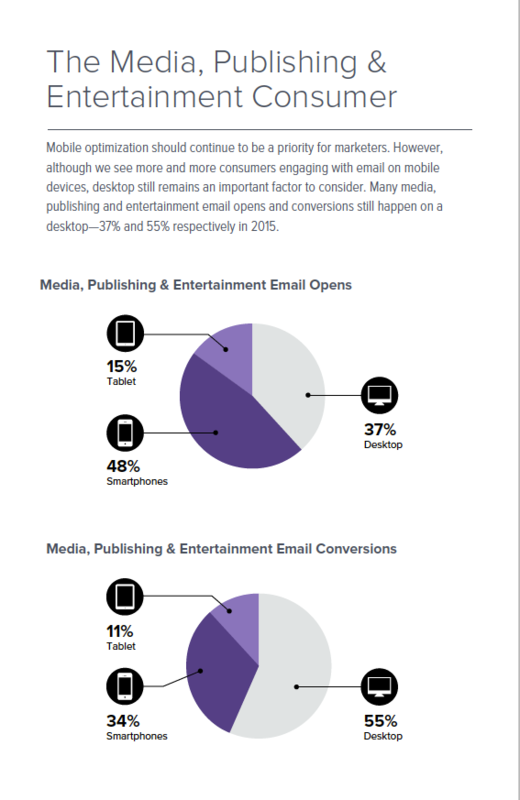 So we all know the world is going mobile/tablet but just look at those desktop conversion rates. Why are tablets so bad for conversion?